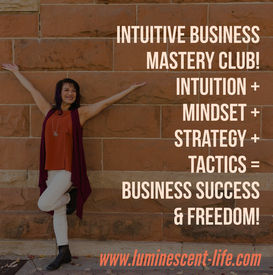 Intuitive Business Mastery | Welcome to Luminescent Life! QUANTUM LEAP YOUR RESULTS! Focus & Productivity Practices for Peak Performance in our Evolving World. STOP the business overwhelm. Learn the 6 Elements Responsible for Your Success Today! You can ELEVATE your life and business to unlimited levels of abundance, success and impact. Once you tap into the Intuitive Business Mastery Principles, you will unlock new levels of inspiration, creativity, productivity, profit and success! And you will see that you you can truly FLY! Sign up to schedule an intial 30-min consultation to see if we are the right fit. 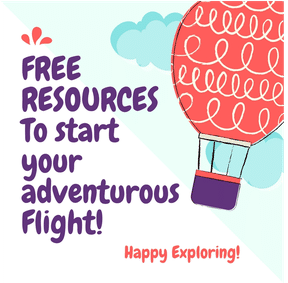 You can check out the library of free resources that I have created for you. Valuable guides, workbooks, templates & mini-courses to help you get started in your business & life. Get consistent coaching & mentorship to help you shine! Success Mindsets, Business Strategy, client attraction, enrollment, creating your ideal client journey & becoming a high performer in business & life! Get individualized attention and mentorship to create the business & life you desire! UNLEASH YOUR BRILLIANCE INTO THE WORLD. IT NEEDS YOUR UNIQUE GIFTS MORE THAN EVER! “You are here to make a BIG difference in the world! Stop hidding! Don't dim your light to make others comfortable. It is YOUR time to shine!" You are brilliant, smart, successful and spiritual. 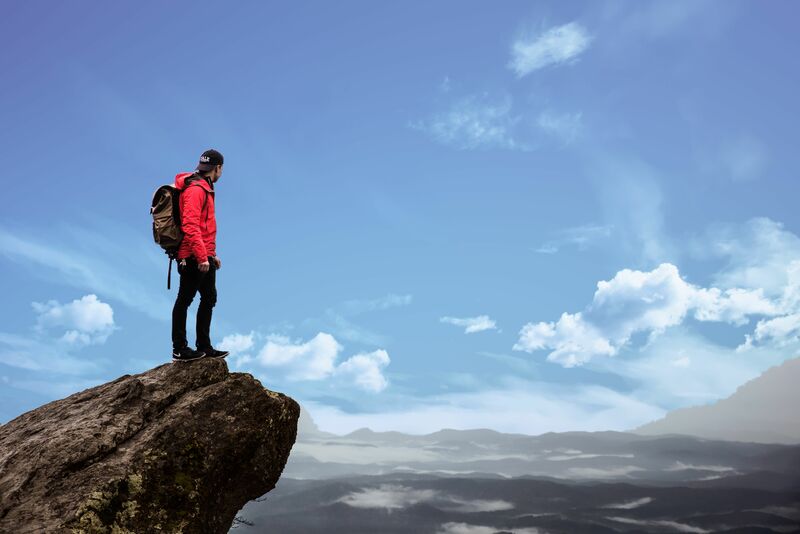 You are feeling the call to step up and do something bigger and greater in the world. You may or may not know exactly what that is, but you know it IS time to do it. Well you are not alone. I'm happy to support you in stepping out in a BIG way into the world. Welcome to the Tribe! You hold the KEY to unlimited capabilites and potential. Whatever you dream it, you can become it. The problem is that you've been indoctrinated with false beliefs and practices that have kept you stuck for a long time. Understand that YOU already have what you need to succeed...I will simply help you tap into it, and UNLOCK it so you become...LIMITLESS! Part of unleashing that potential BEGINS with collecting & "stacking" victories and small wins. Our brains are wired to get fired up every time we experience success. Often we define and set our success as this HUGE thing and we never allow ourselves to win. This process teaches you how to create success, and small wins along the way, so you keep your motivation & action forward! This is about Re-wiring success into your mindset, into your routine and daily actions! You take your large vision, your strategic gameplan, aligment with your intuition & winning mindsets and create your UNIQUE BLUEPRINT for success that is repeatable, time and time again!. Spread Your Wings & Take Flight! Once you learn, understand and integrate the "Manifest with Flow Method" and see how intuition, mindset & strategy come together to re-wire your body, mind & spirit for success, you will have all the tools you need to continue to re-create success! We will provide guidance, support, accountability & challenge so you can truly take flight! THE BEST PROGRAM, RESOURCES & SUPPORT. HANDS DOWN! Spend less than what you would spend on a new pair of shoes, and get amazing resources, community and coaching!! Join our Intutive Business Mastery Academy! “Elena Estanol uses her intuition to drill down to the heart of any struggle. She has this remarkable ability to untangle webs of confusion and inject wisdom, love, and truth. She's a wholehearted, dedicated, and passionate coach and mentor. Her enthusiasm is contagious, her practical suggestions pack a punch, and her energetic ripple is powerful. Elena is a savvy business builder, having grown her own heart-centered practice to employ several like-minded practitioners. She recognizes what it takes to stay true to yourself and at the same time become successful doing the work you're meant to do in the world. She's got an uncanny ability to see people's strengths and build upon them with a remarkable blend of practicality and magic."